PUEBLO, Colo. – Luke Perry, who played the role of Lane Frost in “8 Seconds,” has passed away after “suffering a massive stroke,” his rep Arnold Robinson informed media outlets Monday. “8 Seconds” is one of the most famous rodeo movies of all time. It chronicled the life of 1987 PRCA World Champion Lane Frost and his tragic death at Cheyenne Frontier Days in 1989. Perry, 52, was influential in bringing Frost’s story mainstream and, in the process, helped inspire future generations of bull riders by keeping Frost’s legacy alive. 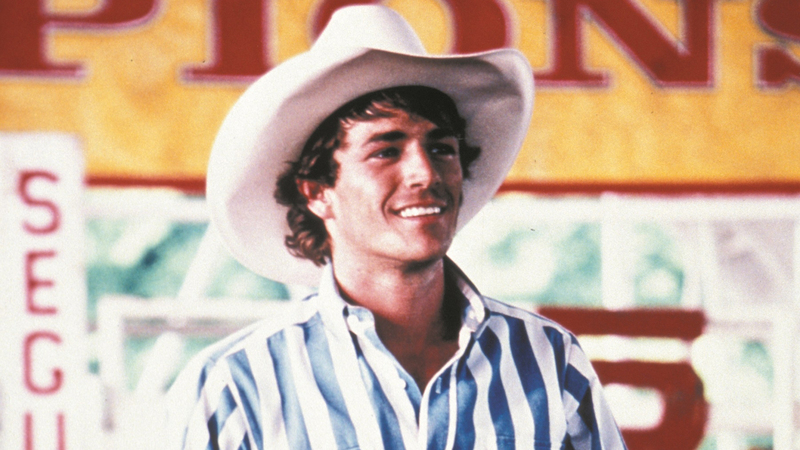 To millions he was the heartthrob on Beverly Hills 90210 but to the western sports community, he will forever be the actor who brought Lane Frost back to life in 8 Seconds. At the time of his passing, Perry was surrounded by his children Jack and Sophie, fiancée Wendy Madison Bauer, ex-wife Minnie Sharp, mother Ann Bennet, step-father Steve Bennet, brother Tom Perry, sister Amy Coder and other close family friends, according to Robinson. “The family appreciates the outpouring of support and prayers that have been extended to Luke from around the world, and respectfully request privacy in this time of great mourning,” Robinson said. “No further details will be released at this time." Lane's parents, Clyde and Elsie Frost, expressed their condolences to all of those affected by Perry's passing as they too became close with him over the years. “We are so saddened by the death of Luke Perry," the Frosts said in a statement. "He has become one of ours as we became close during the filming of the movie. He was so polite and respectful to us and would even come to us to ask how Lane would react in some situations. He got on several bulls before and during the filming, so he understood what it took to be a bull rider. 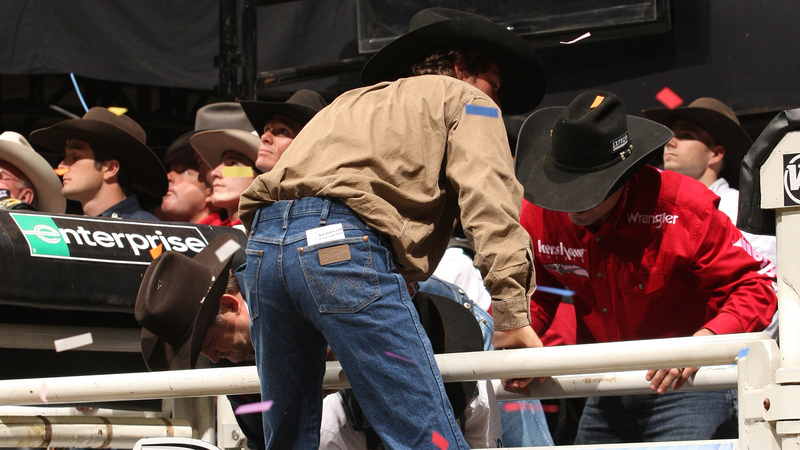 He had the utmost respect and admiration for bull riders, and even though he went on to do so many different things, there was always a bond between him and the bull riding world. “Our hearts and prayers go out to his kids Jack and Sophie and his mother. I just wish we could give them a hug. The PBR held its inaugural season the same year (1994) in which “8 Seconds” was released. PBR co-founder Cody Lambert, one of Frost’s best friends featured in the film, believes the movie helped the PBR grow in its early years and was an asset to the Western sports industry. It has also helped keep his friend’s memory alive for future generations. “‘8 Seconds’ honored Lane in a way that I never thought it could,” Lambert said. “To me, the real Lane is not the guy in the movie ‘8 Seconds,’ and he is a lot larger than that to me. But most people, their only connection with Lane is what they learned in that movie, so they have a great respect for him even though they don’t really know him. Perry eventually appeared in soap operas such as “Loving” and “Another World” before reaching stardom with his role as Dylan McKay on “Beverly Hills 90210” in 1990. Perry, though, became iconic to the Western world with his role as Lane Frost. It was a story Perry fell in love with, and also one he took extremely seriously. Perry, who had never ridden a horse before, enrolled at 2018 PBR Ring of Honor inductee Gary Leffew’s bull riding school in California to help prepare for the role. “I'm an extremist," Perry told the Fort-Worth Star Telegram in 1994. "I figure that if Lane Frost rode bulls and got famous for it, and if I'm playing Lane in the official story of his life, then I need to be up there on the back of that creature, trying to hold on." Lambert said that Perry was extremely committed to making sure he portrayed Lane to the best of his abilities. They talked frequently during the filming, and the two stayed in contact over the years. Perry fell in love with the Western world and grew to appreciate Frost, his legacy and the sport of professional bull riding. He attended the 2009 PBR premier series event in Anaheim, California, and pulled Mike White’s bull rope. Perry was never a bull rider, but he could relate to the value Frost put in family, friendships and people. “(Lane) was a very humble champion and he was comfortable and well-suited to the spotlight in a way that few people are,” Perry said. “The thing I learned about Lane that I was impressed with the most was that he was a great friend. Everybody said Lane was a great guy to be friends with. All bull riding stuff aside, I value my friends very highly and a true friend in this life is hard to come by, and you should treasure them. He was a good friend to a lot of folks and that was great to hear. Perry remained involved within the Western world by working with the charity organization Western Wishes. “He would still go to charity functions that were rodeo or bull riding, or anything that people knew him from the movie ‘8 Seconds’ more than anything else,” Lambert said. We lost a good one today ! Luke Perry passed away at the age of 52. I didn’t know him personally but he portrayed Lane in “8 Seconds” better then anyone could. He was always good to my Grandparents “Clyde and Elsie and kept in contact with them ever since the movie. You will be missed. Give Lane a big hug for us. In the quarter century since “8 Seconds” debuted on February 25, 1994, the movie, which was directed by John G. Avildsen, has survived the industry’s switch from VHS to DVD to digital. “8 Seconds” continues to be a must-see for any bull rider, Western sports athlete or fan. People continue to ask Lambert about the movie nearly every weekend when the PBR Director of Livestock is at events. “It is funny that this many years later there is not an event that we go to that somebody does not come up with their kid and they want to tell me how many times they have seen ‘8 Seconds’ or want to ask me something about the movie or want me to sign a DVD,” Lambert said. “It brought a lot of attention to our sport.